Location is very convenient. 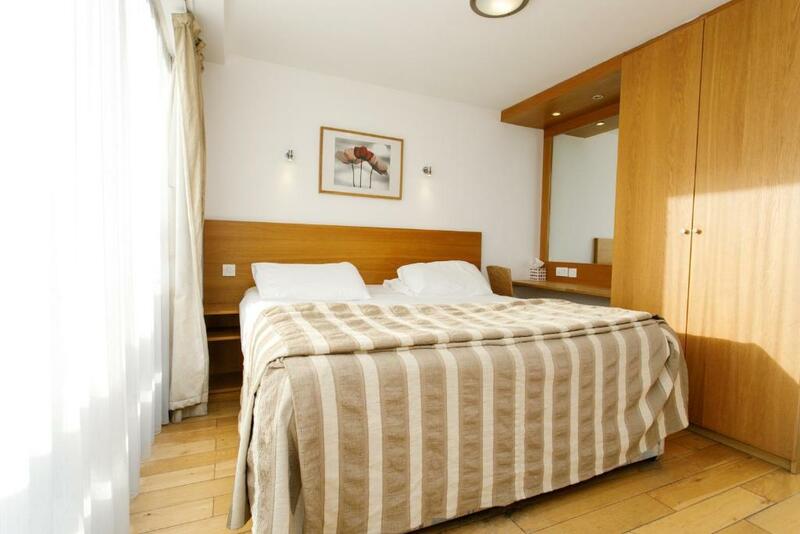 Comfortable beds and spacious rooms. nothing at all. old furnture, rude staff & irresponsible manager. Room (studio apt) was good sized and well appointed. Location was very good with easy access to building. They refunded my money after I checked out 2 nights early due to a horrific first night experience. The GM did get back to me to close the loop on the investigation in a somewhat timely manner and I do appreciate that he took the time to email me. Location was perfect. Right around portman square. Away from noise yet few minutes walk to oxford street. ( exactly behind it in few blocks) When u go out from hotel left would be the street between M&S and Selfridges. And right would be primark. The kitchen area was great. Everything if available. 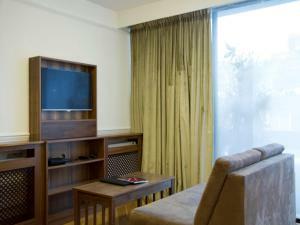 I took the studio room, so the space area was fine.. not as small as other UK hotels . Staff were supportive all the time . Cleaning rooms are free .. daily. Elevators are available and AC. The location was great, it was near the tube and it was way easier than I thought to get around to all the sights. I would definitely recommend! 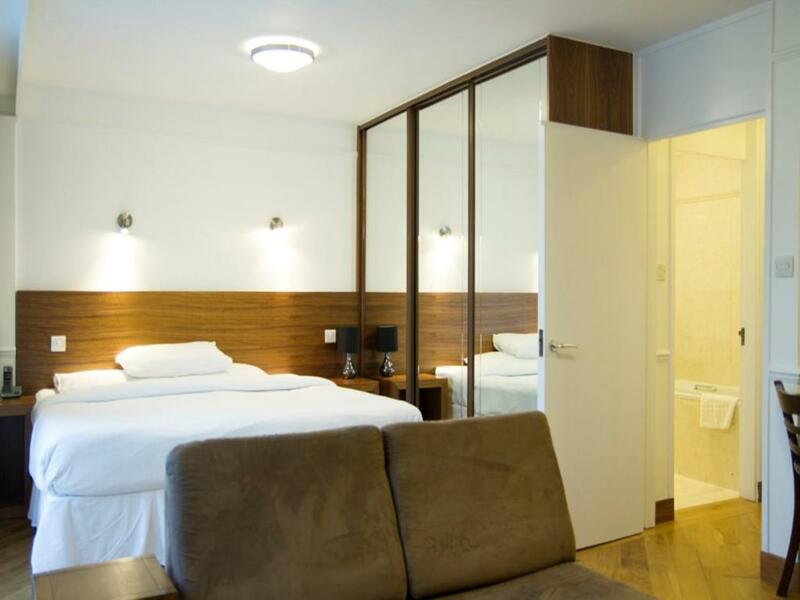 Presidential Marylebone / Mayfair This rating is a reflection of how the property compares to the industry standard when it comes to price, facilities and services available. It's based on a self-evaluation by the property. Use this rating to help choose your stay! One of our top picks in London.Presidential Marylebone/Mayfair offers stylish apartments with air conditioning and free Wi-Fi. Just 1,650 feet from Oxford Street, the apartments are a 5-minute walk from Marble Arch Underground Station. The spacious Presidential Apartments feature open-plan living areas with comfortable seating, a flat-screen TV/DVD player and work desk. 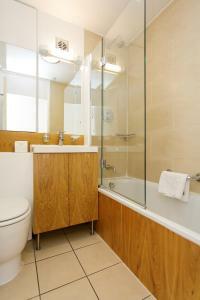 There is also a luxury bathroom with a power shower. 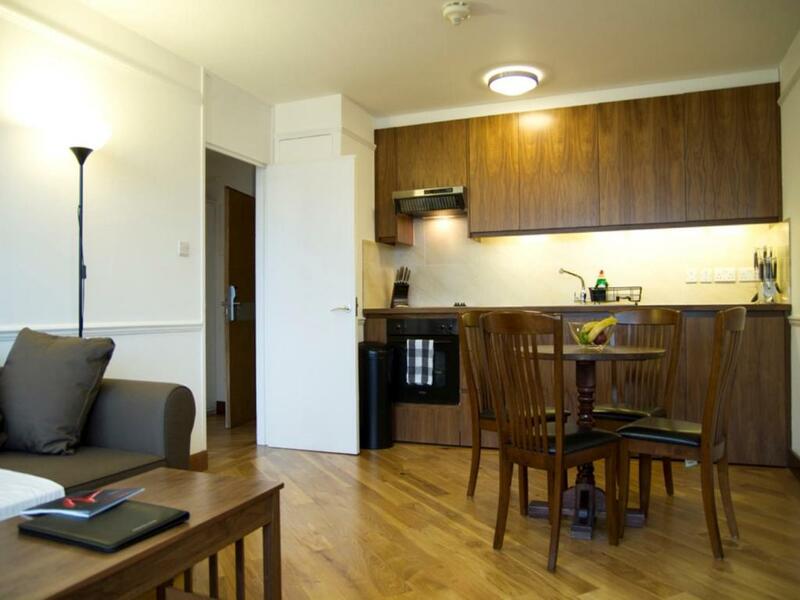 The modern fitted kitchens have an oven, microwave and refrigerator, and tea/coffee facilities are provided. 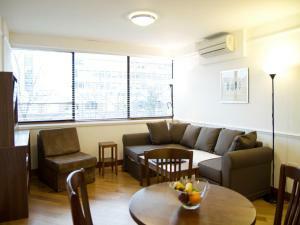 Apartments also have a dining area, laundry facilities and a dishwasher. Just 15 minutes’ walk from glamorous Bond Street, the 4-star Presidential Marylebone/Mayfair Apartments are a 5-minute walk from Hyde Park. Regent’s Park is a 15-minute walk away. Westminster Borough is a great choice for travelers interested in shopping, parks and city walks. This is our guests' favorite part of London, according to independent reviews. In this area you can shop 'til you drop for popular brands like Cartier, Hermès, H&M, Zara, Nike. 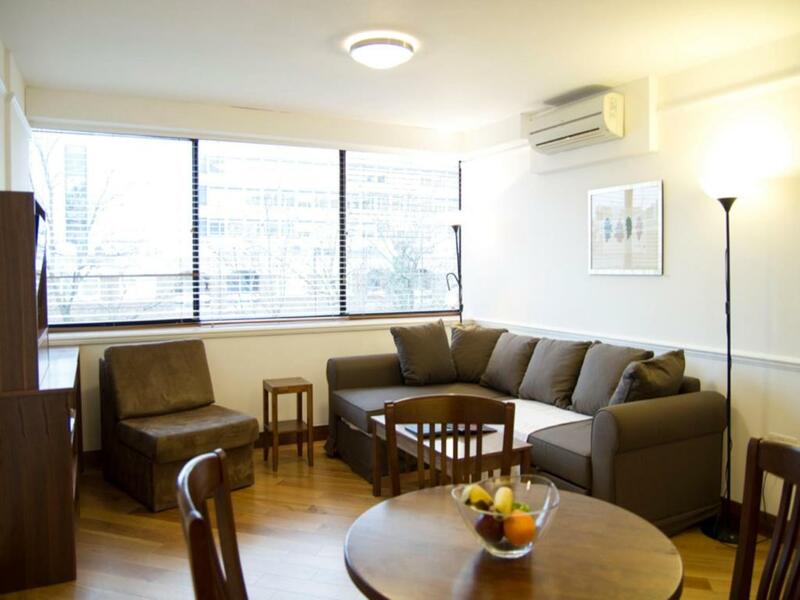 뀐 Located in the real heart of London, this property has an excellent location score of 9.0! When would you like to stay at Presidential Marylebone / Mayfair? An open-plan living area with a standing balcony, work desk/dressing table, flat-screen TV, DVD player, washer/dryer, cooker, microwave, toaster, kettle, hairdryer, iron and ironing board. This apartment has a separate living area, a work desk/dressing table, a flat-screen TV, a DVD player, a washing machine/dryer, a stove, a microwave, a toaster, a teakettle, a hairdryer, and ironing facilities. This suite features a kitchen with premium kitchenware, a lounge area with a TV and a Smart Blu-ray player with access to YouTube, Amazon Instant Video and Netflix. There is also a dining area in this modern suite. 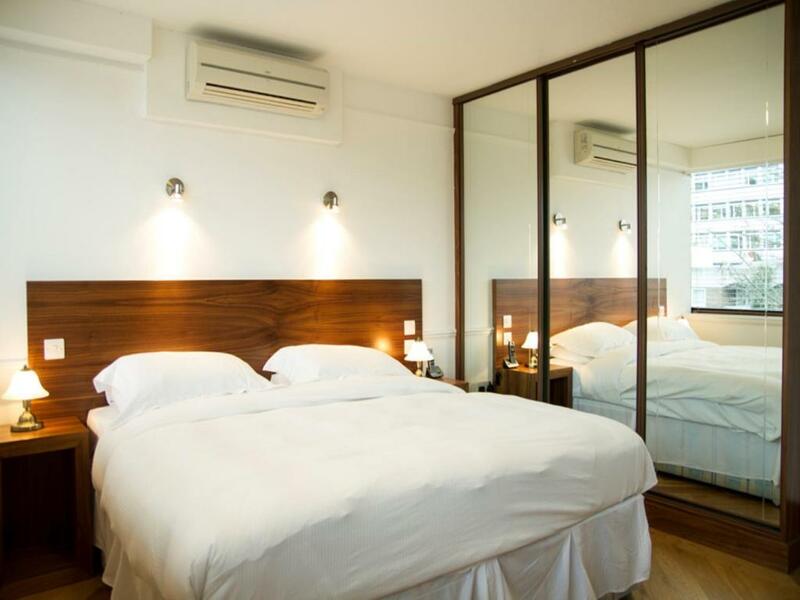 This Presidential Studio features sleek, modern design. This apartment also includes premium kitchenware, Smart Blu-ray players and unlimited access to Netflix. 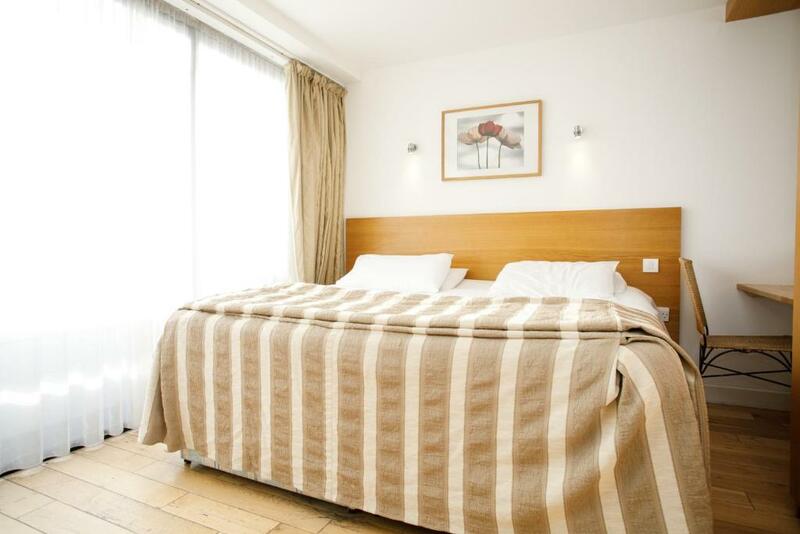 For sheer convenience and flexibility, Presidential Apartments makes the best choice when staying in Central London. You can have the convenience of home while on holiday. Live like a Londoner and experience normal London life - buying food in local shops, using local services, entertaining friends and family at home, which is impossible when staying in a hotel. 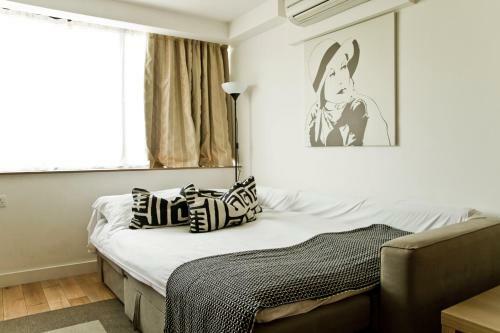 Located in one of London’s prime shopping areas Presidential Serviced Apartments Marylebone is nestled between Baker Street and Mayfair with Selfridges and Oxford Street just a five minute walk away. We are also perfectly positioned for some of the best sightseeing London has to offer with Madame Tussauds and a plethora of other attractions right on our doorstep. We are located on Baker Street, home to the ever illusive Sherlock Holmes! Area Info – This neighborhood is a great choice for travelers interested in shopping, parks and city walks – Check location Excellent location – show map Guests loved walking around the neighborhood! House Rules Presidential Marylebone / Mayfair takes special requests – add in the next step! Presidential Marylebone &#47; Mayfair accepts these cards and reserves the right to temporarily hold an amount prior to arrival. Presidential Marylebone / Mayfair accepts these cards and reserves the right to temporarily hold an amount prior to arrival. For nonrefundable reservations, payment cards are charged in the guest's local currency where possible. Breakfast is delivered to the apartment each day between 08:00 and 11:00, and is for the amount of people that the apartment can accommodate. Please note that the same credit card used for the payment must be shown upon check in for ID verification. Third party payments must notify reception in advance so the verification can be made via email. Please inform Presidential Marylebone / Mayfair of your expected arrival time in advance. You can use the Special Requests box when booking, or contact the property directly using the contact details in your confirmation. Most of the electrical sockets didn’t woman’s we couldn’t get TV to work and no instructions to help. The furniture is a bit old and definitely needs change. Otherwise the hotel could’ve got 10/10. The check in / our processes were very smooth and easy. We’ve arrived early to the property but still checked in early and the apartment was ready. All the needed facilities are available. Very central location with restaurants, coffee shops, metro/bus stations, shopping and supermarkets around you. Apartment was cleaned everyday including towels changed. The room itself is looking tired. It was clean but was let down by details such as light fittings dropping down and the shower handle holder not working, and the large curtain ties broken creating a sagging curtain. I think a general tidy up refresh would really help. Had everything we needed. Comfortable Bed.Great location .The receptionists was very nice. No facilities in the evening. I would advise a drinks/snacks dispenser in the facility. Location is excellent. Room was very comfortable. I lived with my two children, 21 an 18 and we could walk to most places easily. We were cooking one meal in a day and it made the stay very enjoyable. Room, beds were very nice. Room very clean and in the Center of everything! Good location and spacious room. Awful place. Dingy corridors, filthy terraces, tiny bathrooms, old doors. The entire place is in desperate need of refurbishment. Very different to what was advertised. We booked a room for three adults, with a late arrival. The sofa bed had not been made up and there were no instructions. It was unfit for purpose until two extra matresses were acquired the following morning. Location excellent. Lovely weekend receptionist. Poor receptionist on Monday morning - took quite a while to be located when we wished to check-out. The location is great but everything else in the hotel is bad. The furniture is shocked. Beds are totally old and bad. TV is old. The hotel needs reforms.